Solid Blue Chandelier Shade with Brown Sash - Simple elegance. This solid blue chandelier shade is made of quality dupioni silk. The brown silk sash adds a delightful feminine touch. We recommend 25-40 watt bulbs with all chandelier shades. Full Description Solid Blue Chandelier Shade with Brown Sash - Simple elegance. This solid blue chandelier shade is made of quality dupioni silk. 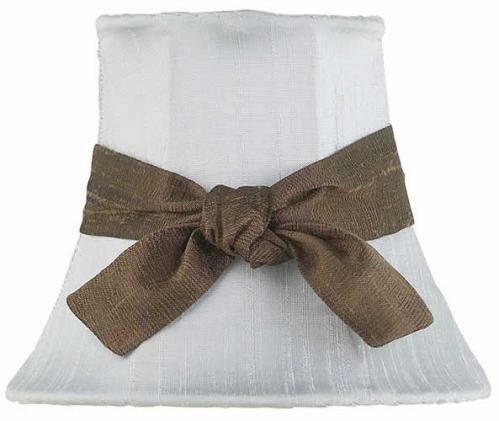 The brown silk sash adds a delightful feminine touch. We recommend 25-40 watt bulbs with all chandelier shades.